When Japanese Prime Minister Shinzo Abe was elected on December 26, 2012, he promised a series of monetary policy, fiscal policy, and economic reforms designed to resolve Japan's macroeconomic problems. These policies have been coined "Abenomics" by economists and the media, a combination of the leader's last name "Abe" and the term "economics". The Nikkei rose more than 70 percent after the program was announced during the first half of 2013, while the Japanese yen has dived from 77 to the dollar last fall to over 100 to the dollar. Gross domestic product (GDP) figures in Q1 2013 also appeared promising to many investors. Unfortunately, these early gains were relatively short-lived and the country's problems may be far from over. In this article, we'll take a look at the three major components of Abenomics, the early impact of these policies, and what international investors can expect over the coming years. The early success of Abenomics stemmed from monetary policy reforms aimed at reducing real interest rates and increase the inflation rate. After decades of deflation and stagflation, the country's economy has struggled to compete in foreign markets. The safe-haven status of the Japanese yen after 2008 didn't help, as the prices of its exports jumped sharply. The Bank of Japan's management shake-up initially left an ally at the helm, with an inflation target set to an ambitious 2 percent per year. By employing open-ended asset purchases, like the U.S. Federal Reserve, along with stimulus packages, the central bank made significant progress in weakening the Japanese yen in the first half of 2013, which helped the Nikkei jump sharply. 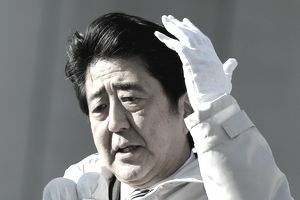 Shinzo Abe implemented a 10.3 trillion yen fiscal stimulus package in January of 2013, which was significantly higher than many analysts had initially expected. In addition to the stimulus spending, Abe pushed for fiscal spending to increase to 2 percent of GDP in a move designed to further boost inflation through spending on a public level in addition to a private level. Mr. Abe planned to pay for these stimulus measures and other spending programs by doubling the consumption tax to 10 percent in 2014-15, while implementing a number of structural reforms designed to increase taxes, close loopholes, and ultimately generate more revenue for the government. Critics worried, however, that these measures would be insufficient. The third and most critical piece of Abenomics is structural reforms, which has proven to be the most difficult to implement. Early on, Abe pushed for Japan's participation in the Trans-Pacific Partnership in an effort to remove regulatory loopholes that could be limiting the economy's long-term potential and thereby reducing potential tax revenue. Other key areas of regulatory reform include farming, employment, energy/environment, and health/medical care. In view of its growing aging population, Abe intends to make radical reforms that could also expand its medical care industry globally. However, many of these reforms could risk alienating his LDP party from key lobbyist groups. Abenomics has certainly begun on a positive note, with the Nikkei rising sharply and consumers becoming increasingly positive. More recently, Japan's economy has been cooling off and the threat of deflation has resurfaced. The "third arrow" of structural reforms has put a dent on inflation that has helped it in the past and the future continues to look uncertain. By late-2015, economists remain concerned that the economy may have begun to contract, potentially tipping it into its second recession since Abe took office. Leaders have insisted that investment and wage growth are needed to keep deflation under control - two elements that Abenomics has failed to attract thus far. By mid-2017, Japan's rate of inflation has been on the rise but remains well below the Bank of Japan's target rate. Inflation reached just 0.5 percent in July, which remains far off from the central bank's long-term 2 percent annual inflation target. The weakness in inflation has mirrored that of many other developed economies, including the United States and European countries. The long-term success of Abenomics policies remains to be seen given the slow and weak inflation growth. While the government remains optimistic, international investors should retain a healthy dose of skepticism given the country's long fight against deflation and disinflation.